Clth, 5.25 x 7.75 in. / 1208 pgs / 18 color / 2008 bw. New York-based artist Alexandre Singh's Faustian novella reimagines the life of Adi Dassler, founder of Adidas, in a world of reversed time and geography in which America is the Old World, and Europe a new frontier populated by geometry-worshipping primitives. 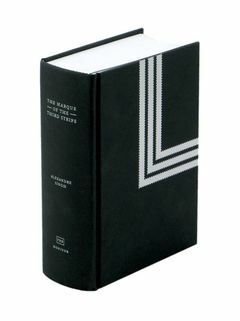 This limited and signed edition includes Singh's 1080-page “Dictionary of a Synæsthetic Language,” nine Wikipedia-style essays, the original story and 18 hand-tipped color photographs. FORMAT: Clth, 5.25 x 7.75 in. / 1208 pgs / 18 color / 2008 b&w. Published by preromanbritain & monitor gallery.